Situated in The Greens Golf Community in SW Redmond, this Brand NEW gated condo community offers a fantastic location & homes with luxury finishes. 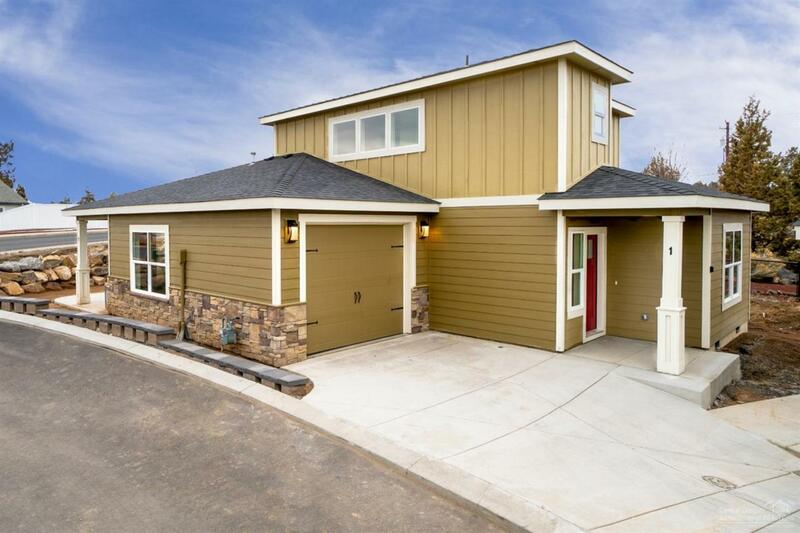 The Links Condominiums are less than 2.5 miles from the Redmond Airport and offers quick access to Bend. Light and bright home w/ Master on the Main comes fully loaded w/ quartz counter tops and under mounted sinks, soft close cabinets, full height tile back splash, under cabinet lights, upgraded KitchenAid Stainless steel appliances, premium waterproof vinyl wood plank flooring, tiled master shower with rain shower heads, upgraded plumbing fixtures, pantry, ceiling fans, loft area, sliding barn doors, walk in closet, professionally designed interiors, A/C, and tankless hot water heater. Links 1 has a spacious back yard w/ covered patio.